Buying your first home is one of life’s most exciting moments! When you turn the key and walk in the door, it feels like *ta-da! * you’ve just realized the American Dream…and it really is the American Dream, right?! 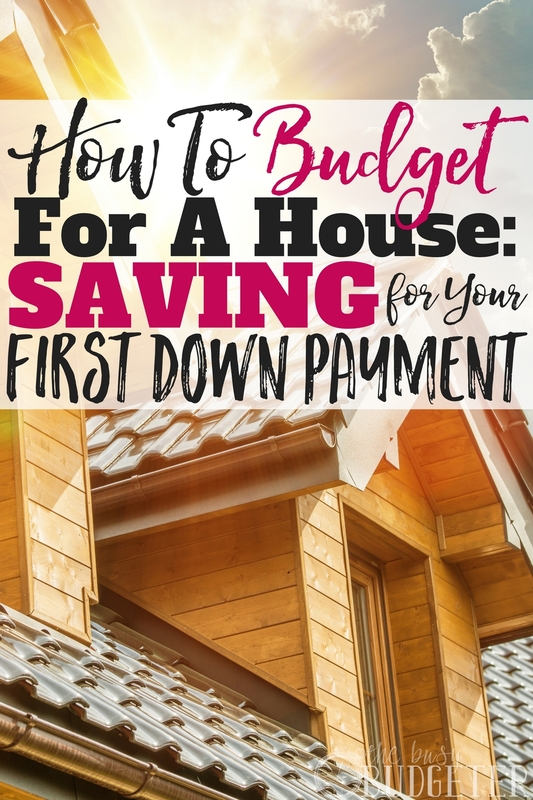 But if you’re wondering how to budget for a house or how to start saving for your first down payment, you're probably feeling intimidated, especially if you’re renting and barely making it to your next paycheck. So, how the heck do you get there? Homeownership is a big deal. Homeownership means you’ve got assets. It means you’re “adulting.” You’re all grown up. Owning a home is hugely rewarding. You can paint the walls, decorate, landscape—the works! When you own a home, it’s all in your control. It’s your place! Some people buy a home and that’s their place for life. More often, these days, your first home is your starter home and there are upgrades in your future. Either way, in most cases a home’s a multi-year commitment. But owning a home is a BIG goal. Hundreds of thousands of dollars big. It’s a lot of debt to take on and it means committing to making mortgage payments for the next 15-30 years. That’s a BIG commitment. For some it comes naturally—the next logical life step. For others, it’s more than a little anxiety provoking (especially if you’re a little commitment phobic when it comes to monetary obligations). So how do you do it? How do you budget for a house? How do you begin saving for a home? How do you go from renting and living paycheck-to-paycheck to saving for your first down payment? Good news! We’re currently in a great housing market! Home values are rising, so in most areas, homes are still affordable AND good investment. The worth of your home will increase over time and if you eventually decide to upgrade, you’ll earn money from the sale. It’s a good time to buy if you’re in the right spot. When you’re ready to start working toward a down payment (or when you think you MIGHT be moving toward the big goal of homeownership), the very first step is to assess your budget. Check out your monthly income, your savings, and any wiggle room in your budget. 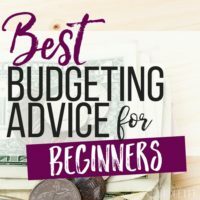 If you need help getting started budgeting, check out my 90 Day Budget Boot Camp. I’ll walk you through all the steps you'll need to take to become a budgeting PRO. If “budget” sounds like a foreign term to you (“Eet is pronounced budgé, no?”), then it’s probably NOT time to budget for a down payment on a house…YET. 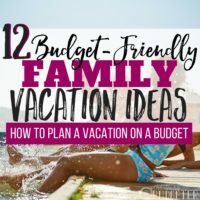 First, you need to get in the routine of budgeting and get your finances under control. Don’t worry, I can help you get there. If you’ve been budgeting for a while now and feel comfortable with the process, search your budget for areas where you can cut and save. Use a budget planner or another budgeting tool where you can carefully record monthly bills and payments. This will give you the full picture of your financial landscape and help you determine if you're ready to start saving for your first down payment. Examine any debt you’re holding—credit cards, student loans, and medical bills. Are your bills paid off? Before you take on the big responsibility of budgeting for a house and saving for a first down payment, you should be debt-free (or very close). 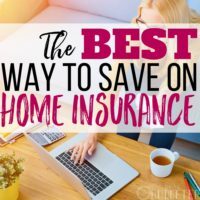 Okay, so I know this is a tough point, especially if your heart’s set on buying a home right away, but remember there’s no shame in renting while you clean up your finances! None! The housing market is looking good and should hold out for plenty of time. Taking on more debt and responsibility isn’t going to make your life any easier if you're not ready. Real estate is an investment. You won’t earn a positive return from your investment if you continue to pay interest on your debts. If you need a debt payoff plan: first, save up an emergency fund of $1,000-$2,000. Second, once you’ve tucked away your emergency fund, tackle your debt by putting as much as you can toward the smallest debt until it’s paid off. Then, third, move to the next smallest debt and so on. This is called the “snowball method” and it will help you obliterate debt quickly. Once you’ve got a budget and your debt’s paid off, it’s time to set a down payment savings goal. Use a mortgage calculator to figure the amount you need to save. A good rule of thumb is to aim for a mortgage payment that’s 25%-28% of your monthly income. You’ll want to save 20% of the mortgage total as the down payment. So, on a $200,000 mortgage, you would want to save about $40,000. You can calculate the amount by multiplying the total house price by .2. One way to ease the burden of a mortgage payment is to get the best rate possible on your mortgage. This is calculated with your credit score. While you don’t need a perfect credit score to buy a house, it should still come in roughly over 600. Many banks and credit unions offer customers the opportunity to monitor their credit score. Once a year, you can pull your credit report from the three credit reporting bureaus for free. Visit www.annualcreditreport.com (the only FTC authorized website for free credit reports) to get yours. Examine your credit report for any errors or mistakes. If you’ve had a rough time in the past with late payments and even collections, it may take some time for those items to drop off your credit report, even if you’ve been making headway on your debts. Be patient. You can repair credit quickly, especially if you’re making regular payments and aren’t taking on additional debt. When you feel you’re ready to start discussing home loans, make an appointment with financial advisors at your bank or trusted savings institution. Ask these experts to tell you about any areas of concern or any potential roadblocks they see when reviewing your finances. When you meet with an advisor, speak honestly about your debts and the status of your student loans, your job and income plans, as well as any events you see on the horizon (big job change, new baby, etc.). Being up front about where you are financially will help your advisors get a full picture of how to guide you through the mortgage process. So be honest and trust them! They know what they’re doing! Your financial advisor should give you a good ballpark price range for your new home. You’ll know exactly how much you’re working with and the time frame, so when you find the perfect home, you won’t get delayed by paperwork and miss the chance! Now the fun part! You get to start researching neighborhoods you like and checking out homes in your market! Look through Zillow to find homes in your price range and get an idea for size, style, and options in your area. Look at property taxes, schools (if you have kids or plan to), economics, and safety of the area. You may also want to drive through the neighborhood and attend realtor-sponsored open houses in the area, even if the home isn’t the style you’re looking for. This can help you get an idea of what’s available and start to formulate a picture of your ideal home. A home’s a big investment, so really research and come in prepared before you buy. A fifteen-year commitment is a looong time to get stuck paying on a house beyond your means or an abode you don’t love. Do your homework before you jump in! What tips did you use to save for your first down payment? Are there any great methods you’ve found to navigate the process? Happy house-hunting! Don’t forget the power of leverage and the FHA loan! My first property was a 4-unit using FHA 3.5%-down financing here in a suburb of Los Angeles. I lived in one unit and rented out the other three. I was single at the time, so it was a no-brainer. Why? Because of leverage. I put a hair over $15,000 down for 4 units an hour away from Downtown Los Angeles. And because I only put 3.5% down, I had a decent chunk of money left over (+ cash flow from the tenants) to put into “real” real estate in the form of two private placements — a beachside development deal along the California coast + a buy, rehab, retenant, refi apartment syndication in Arizona — the returns on which have blown the stock market out of the matter. Assuming the rents cover their expenses, in 30 years when they’re in their 50s and the mortgage is paid off, and they’ve done the smart thing by raising the rents over the years, they will be sitting on a million-dollar asset that cash flows thousands of dollars per month at the cost of a measly $15k or so out-of-pocket when they were 20-something. If I had listened to all the noise and rented all those years rather than owned, my net worth significantly less than it is today, and that’s not even including the appreciation on the property. A lot of the young women I talk to automatically dismiss home-ownership because of the perceived commitment to living in one location for the duration of a 30-year mortgage. But I’ve been able to purchase investment properties despite moving 14 times in the last 15 years. And those properties are paying off in passive income to support my ongoing nomadic lifestyle. I’m currently living in Germany as a freelance writer and blogger, thanks mostly to real estate investing! Very informative article! It is a must read for those buyers who can not wait to buy that dream house they have been coveting for some time, they must not go for it in a hurry, first must ensure they have enough money to pay 20% as the down payment and got a good debt to earnings ratio to ensure timely payment of mortgage. Excellent advice. I’ve never been able to save money, I don’t know why. I am decently organised, and make plans so I don’t just go with the flow … but I have never been able to save money ! Thanks for sharing, I found it very useful ! My husband and I have been saving up for a couple of years to buy a home. We’re hoping to find a home that we can stay in for several years and that will also be affordable. I like your idea to use a mortgage calculator to figure out the exact amount you need to save. I wonder if there is a way we could get assistance in paying our down payment. Very helpful and timely when you are about to purchase a house. I want to buy my first home soon. So, I liked that you pointed out that I should try a budget planner. That does seem like it would help me save up more money before I need to put a down payment on a house. The best part about buying a home is when you start driving around the block to check out for safety, security, and amenities. Mom and Dad would love to go an ocular trip of the bayside property they’re eyeing to check if it’s near any schools, hospitals, or shopping centers. They’d appreciate it if the area has good venues to bond with neighbors and explore local economy. 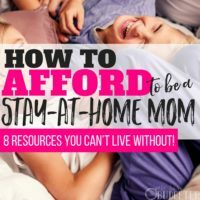 Great tips here for (kickstarting) some serious money saving. Thanks for sharing!